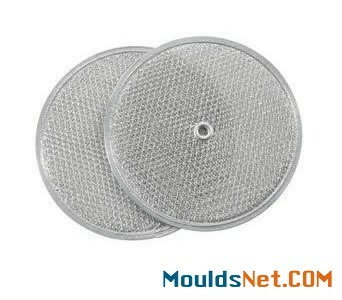 Round range hood filter is a sort of round type grease filter that is installed in range hood. 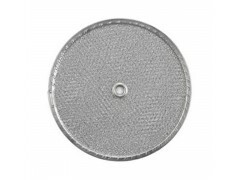 This standard round shape range hood filter is made of layers of expanded aluminum foil strips with aluminum frame surrounded. Round range hood filter is usually used in kitchens at home, dining halls of restaurants, schools and commercial kitchens. Good air purification and ventilation properties. The round type frame and small round grommet in center makes the appearance beautiful. Available sizes are suitable into your range hoods. Easy to wash in hot water, flowing water with detergent. Long service life and economical in price. Structure: aluminum foil strips surrounded by aluminum frames and round center grommet. Mesh filter layers: 3 to 4 layers. 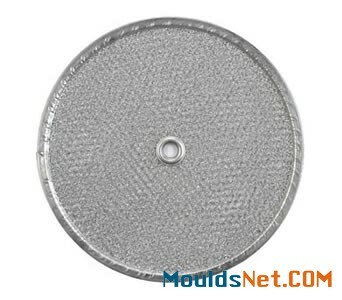 Round range hood filters are commonly used in range hoods for catching grease oil in domestic kitchens, kitchens in dining halls, government, restaurants, etc. Your use of this website is subject to, and constitutes acknowledgement and acceptance of our Terms & Conditions.